Great Weather for Media, LLC, 9780998144009, 128pp. 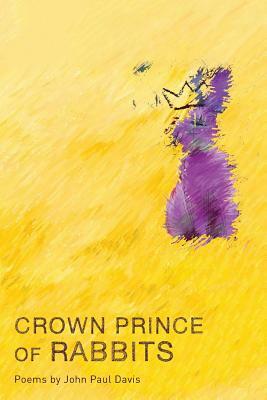 In Crown Prince of Rabbits, John Paul Davis unravels poetic self-portraits, breaking the spine of love and the language of serrated relationships. He shines the moon in his face to capture every angle, which not always flatters, but digs at the roots and rot of endings.This is a book that will feel like a novel, with upheavals and road trips (with music). His exit signs ask questions that even the reader can/should ponder. This is a book to drink with whiskey or strong coffee. This is a book that will leave you meditating on why it is we give our feelings away.